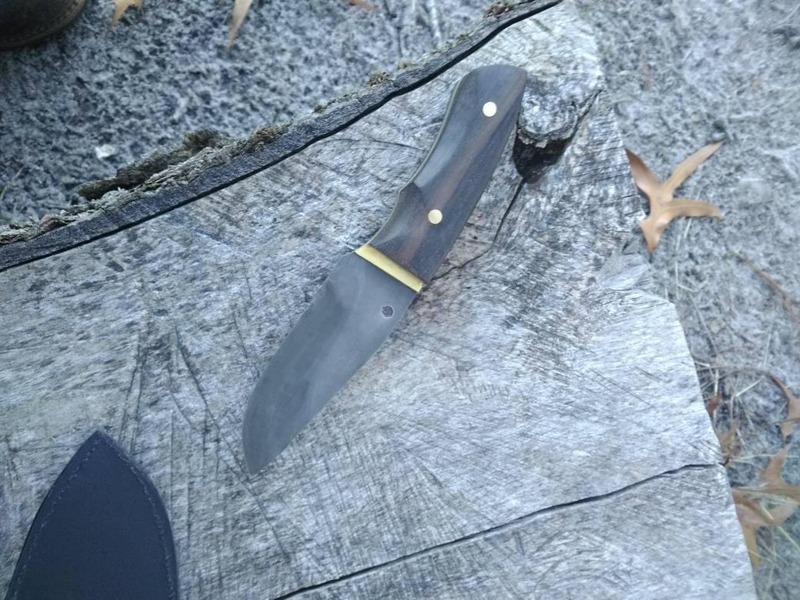 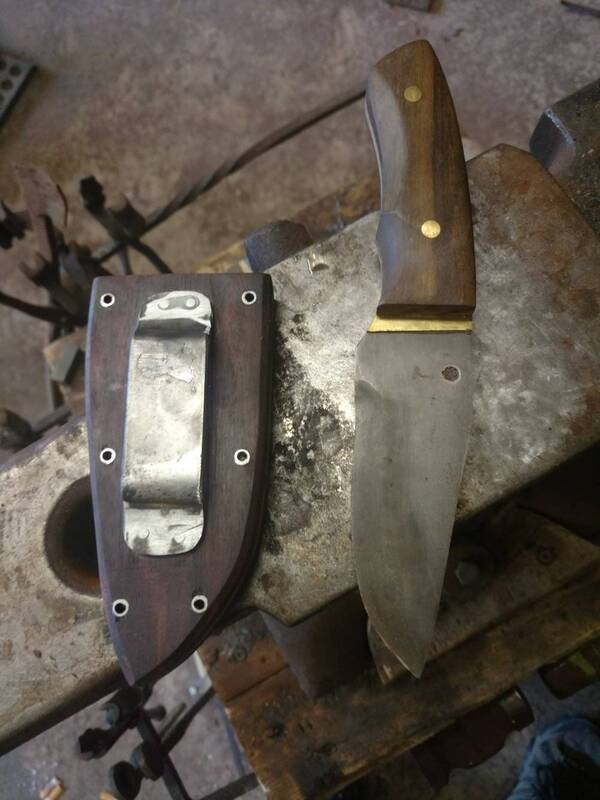 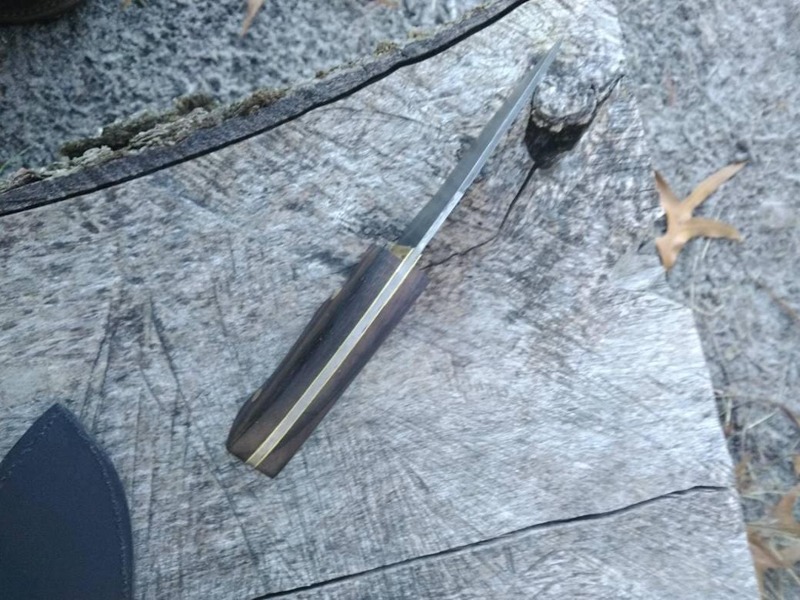 This handforged knife is made from 5160 steel finished with hamon during heat treat. 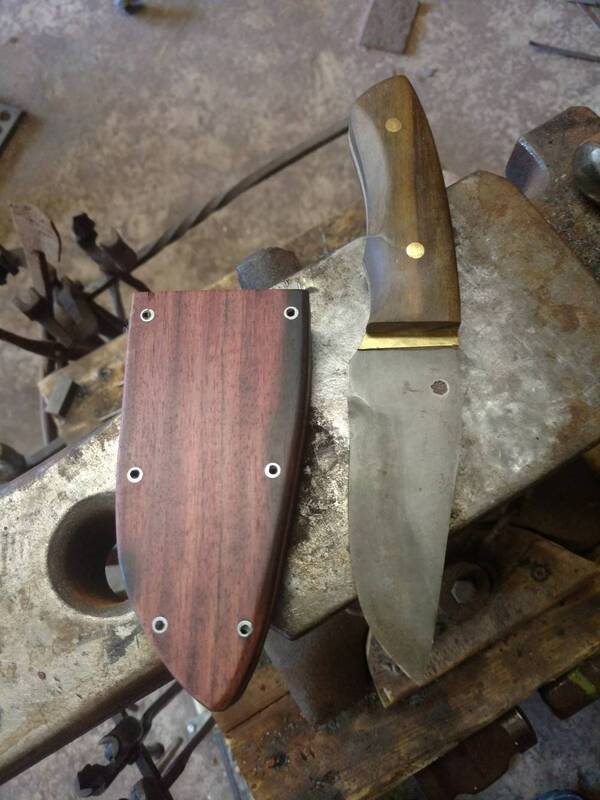 The handle is made from Rosewood with brass liners and pins. 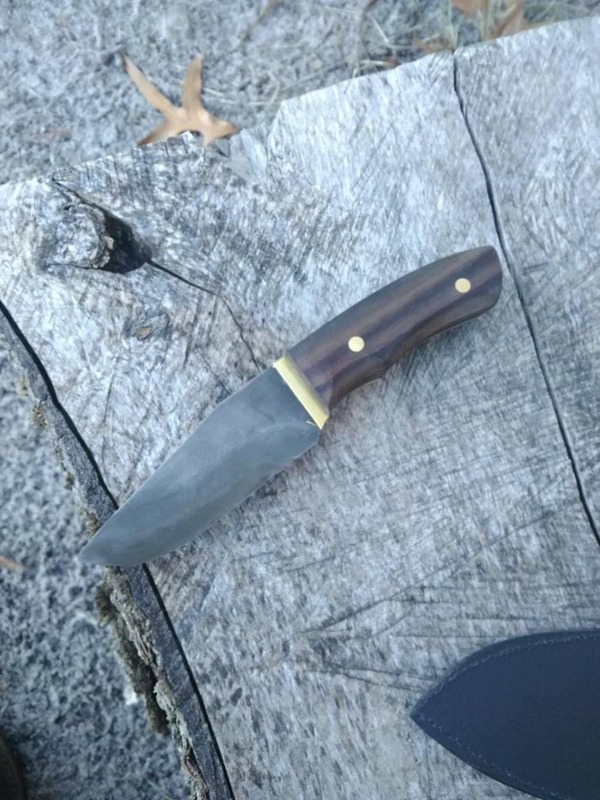 It comes with a black, Bison leather sheath.